Hi guys! I hope you all had a great week! Thank god it's Friday, am I right? This week really dragged on! Anyways, today I doing a beauty review on the Bourjois Healthy Mix foundation. I wanted a change from my Max Factor Lasting Performance, which I adore, but I thought I'd try out something new. I love Bourjois make up, it's a great high street make up brand for a decent price tag, I adore their packaging and make up in general. The Healthy Mix foundation is normally €15, but they had some of their products on sale, so I got it for €10, very reasonably priced! This foundation in particular, had some fantastic ingredients in it. Apricot for radiance, melon for hydration, apple as a anti-oxidant, and ginger for energy. I loved the pump packaging alot! It was handy, not messy and it showed how much you had left in it to use. I got it in the lightest shade they had, shade 51, of course it brought me up a couple of shades darker as I am whiter than Christmas, not too worry though, it wasn't too noticeable. I really, really, loved the smell of this foundation! Very fresh and fruity, the smell of apricots was beautiful, I got a few compliments off my friend on how nice my face smelled (Hi Aoife ;)). This was so easy to apply and once it was on, you hardly felt like you had make up on, it was lightweight and it felt like a second skin. 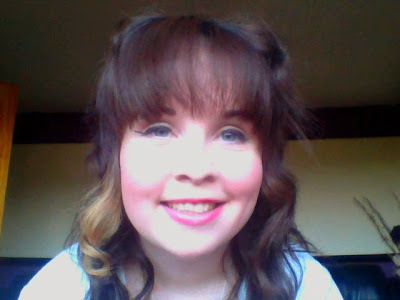 It gave my skin a really healthy and radiant look, very natural looking, not cakey at all. It also made me look alot more awake, exactly what I need right now as my sleeping pattern is messed up and it can be disturbed. 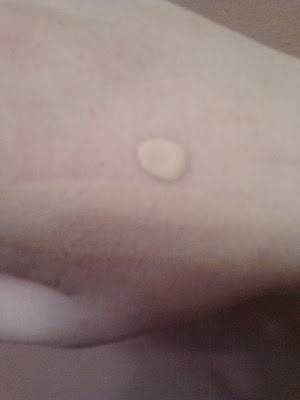 However, on my normal to combination skin,it made my skin slightly oily, especially around my t-zone. I'm not sure if I can attribute this to the foundation, but it did not feel oily when I used my Max Factor foundation, I had to counteract this with some fixing powder. It claims it lasts for 16 hours, it doesn't last anywhere near as long as that. It lasts for eight to nine hours at the most. It didn't have as much coverage as I would have liked, either. I would recommend this foundation for those with drier and duller skin types, it would bring it back to life. As for the Fruit Therapy, I did notice a difference in my skin after applying it, not just in skin colour but health wise too. The apricot did make my skin look more radiant, the melon did hydrate my skin, the ginger put a bit of energy in to my skin, making it look more awake. However as for the apple anti-oxidant benefits, that remains to be seen. All in all, it was worth the €10, a good foundation and a good price for a Bourjois foundation. I think it is more suited for drier skin types. 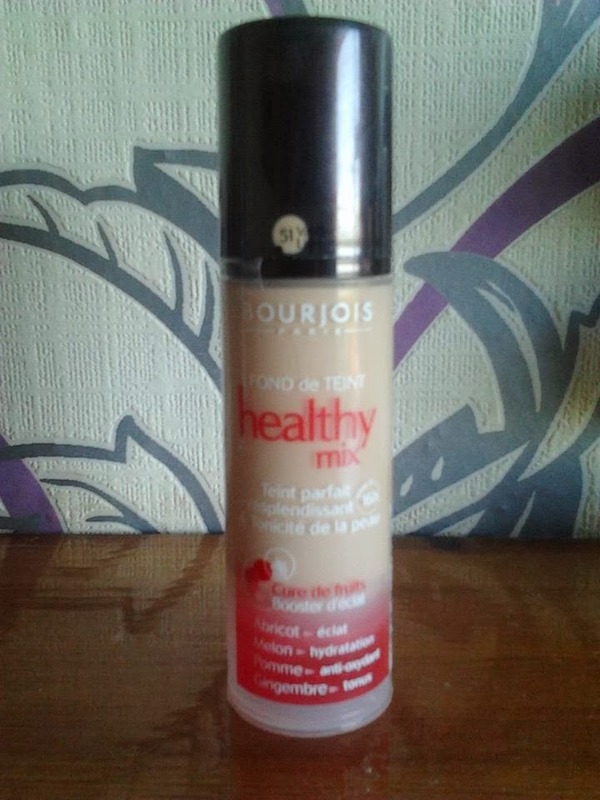 If you wanted to make your skin look healthier, the Bourjois Healthy Mix foundation is worth a try. As it made my skin, more so my t-zone slightly oily, and I didn't get the coverage I would have liked, I'm not too sure if I would repurchase this foundation. Don't get me wrong, it is a great foundation, I just don't think it suited my skin in particular.